There are times that Ellen Oppenheimer feels really lucky to be here. It’s not because of her age – which is a spry 88 years young – but more because of what could have happened when she was just a toddler. You see, Oppenheimer (whose maiden name is Simon) is Jewish and was born in Germany. When the Nazi Party rose to power in 1933 and began to round up Jews in the streets, Oppenheimer’s father was one of them. But it wasn’t, and thanks to a local policeman, her father was somehow released and made a daring escape by night to France. If not for the quick action to flee, her entire family could have very well been placed in a concentration camp. “My sister, mother and I were still in Germany and he was in France,” Oppenheimer said. Soon, Grete, her mother, sold everything in the family’s apartment and took her two girls to Italy before then securing travel papers to France. And while this seems like a happy reunion should be just around the corner, Oppenheimer’s story has many twists and turns – considering her father was placed in camps and separated from his family on two occasions during their time in France. “We were told by my uncle who was in the U.S. to get things going,” she said. Eventually the family finally made it to the United States – but not without their fair share of trials and tribulations along the way. Well good, because you can hear all about Oppenheimer’s story when she visits Gibson’s Bookstore on Aug. 8 (next Wednesday) as she shares her book, Flight to Freedom. When her mother passed away 40 years after making it to the States, Oppenheimer and her sister thought it would be nice to write her family’s harrowing story for the generations that follow to know exactly what happened to their family during that time. They began talking and collecting memories. “She remembered things, I remembered things. She made notes and I made notes,” Oppenheimer said. Soon they had the makings of a book. So Oppenheimer sat down and began to write. “And I rewrote it and wrote it again,” she said. It includes details about the arduous boat trip to Staten Island and the fact her father died just four weeks after settling in New York. “It was as if he was allowed to see us safe,” Oppenheimer said. 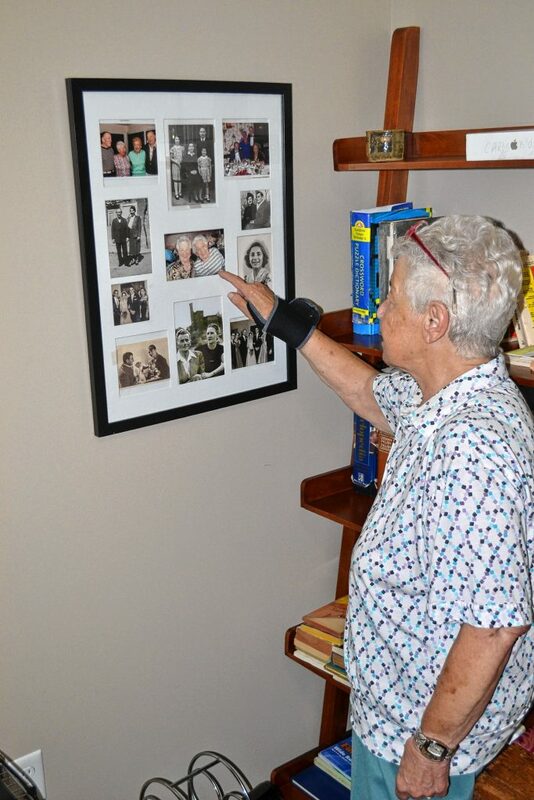 There are a ton of stories of the chance meeting with her father in France, her aunt’s family who died in a concentration camp – ones you can hear on Aug. 8 or read about in the book. “There are a lot of details in the book,” she said. The Gibson’s event begins at 5:30 p.m. and is free and open to the public.